Using a Twitter Search such as ‘Filming Birmingham‘ can give you some great clues on what maybe shooting on your doorstep. Don’t be afraid to ask the originator of the tweet any further details that would help you track down the location, remember the worst that can happen is they ignore you so there is no harm in asking. The clues are there if you look hard enough. Kudos are the company that produce Hustle and the on street parking in Birmingham’s Jewellery Quarter is suspended for the day. Especially in city centres we tend to get over familiar with our surroundings, so much so that we miss the details. Parking is suspended all the time in Birmingham for things like roadworks, gas works, water works, etc, but as you can see they sometimes suspend them for other reasons too. For a location shoot the crew need parking spaces for equipment lorries and cast and crew cars and minibuses. In Birmingham the city council suspend parking bays at the request of film and TV companies to allow them to park their vehicles close to the filming location. The signs are always filled in and give a variety of details. Some will state that it is for filming others will be more cryptic. The best ones to find are those that say for a number of days, especially if you discover it on day one. If this is the case you can bet that the same crew will be back the following day. You may need to know your production company details and you will certainly need to have a keen eye and an inquisitive nature to spot these but if you do they are the best clue you can find. However, be careful not to get too excited as what they won’t tell you is what time any filming will take place so you will need to be patient and be prepared to check back several times if you are going to be lucky enough to spot some of the cast. Another key clue is the gathering of several large lorries, some hopefully bearing lighting or filming company logos, in parking bays. If you spot an usually large gathering of these vehicles then you may well have stumbled on a location. These temporary signs often appear in the morning and are normally quickly taken down by location managers (or usually by their assistants) once the crew have arrived at the shoot location. Film crews normally have a base location that the cast and crew gather at first thing in the morning. 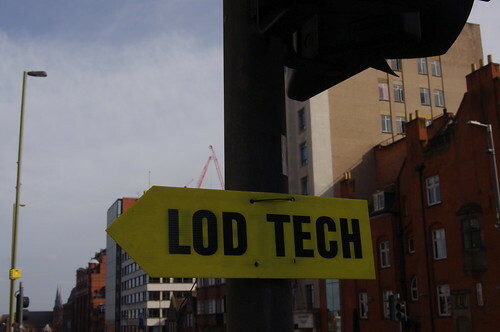 To help with the transfer of the equipment and the cast the location manager will arrange for temporary arrow signs to line the route from the unit base to the filming location. These signs will normally only be there for a few hours, or at least until the vehicles have reached their destination, but if you can find them and follow them then you will also end up where the action is. The tips detailed above have served me well a number of times, however, there is no guarantee that you will see any filming, especially if the location is indoors. For an indoor shoot the most you can hope for is a glimpse of the cast leaving or arriving. One other caveat is that these tips worked well in Birmingham but other cities may use different methods to block parking and direct crews around. Use what you will from the tips and I wish you luck in your own quest.